This year has undoubtedly been the greatest year of my life – our dream wedding, Honeymoon, my 25th birthday and this October my husband’s 30th birthday… which led to a very big surprise. I have never been one for organising or planning ‘trips’ – to be honest I never thought I was capable of planning a holiday, but somehow, and with a very lot of thought and research I planned a secret escape for Simon’s 30th Birthday. Surprising him at work, and leaving straight for the airport (bags packed) was all part of the fun and mischief. We had the most (inexpensive) window shop at Duty Free, and boarded our flight with our hearts firmly intertwined. 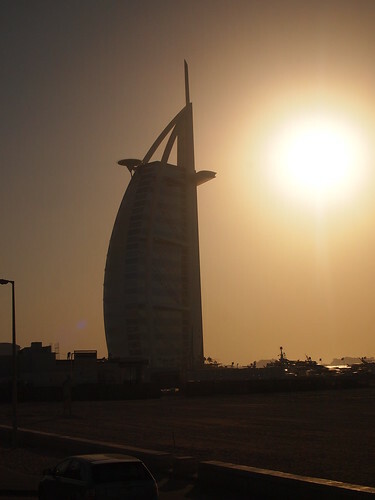 I can only describe Dubai as truly luxurious - it’s clear to see that wealth is a common theme in Dubai. With its amazing sky scrapers, landmarks and golden beaches - it’s truly beautiful. I am so glad I chose Dubai as the chosen destination, because it was a complete surprise in every sense and will remain a birthday to remember. I am so proud of Simon – he’s achieved so much, and has worked so hard to establish a career, not to mention the time, effort, love and devotion he has put into our relationship and marriage. 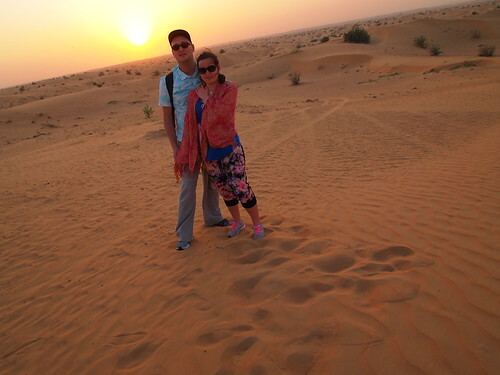 I wanted Dubai to be special for us both – and it was by far spectacular in every sense. I never dreamed that I would be celebrating in the middle of the desert and watching the sunset, but that’s the beauty of life… there is always room for surprise. When we arrived home from Honeymoon in late June – I felt a deep pain and longing for Fiji. I was scared I would never feel the same way I did whilst there – but Dubai you confirmed that those feelings - as rare, beautiful and sparkling they are, are always there deep down and can return in an instance. Four days away in paradise, in such a diverse and modern city has taught me that dreams are most certainly for living. What a lovely post and I'm rather envious of your trip to Dubai, it's definitely somewhere I want to go some day. Lovely photos - Dubai is definitely on my bucket list. Wow what a surprise and present - I don't think i'd of been capable to keep something that exciting secret that's for sure. I have no idea what to do for Joe's 30th next year, he's not really bothered about and I don't really have the funds to really do much. Hmm have to get the thinking cap on! WOW, who said romance was dead(meant to be:)!